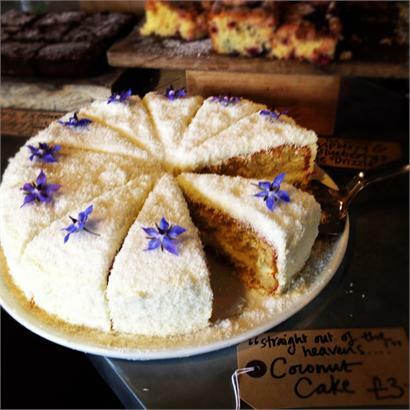 It’s no secret that Square Food Foundation love a cake. So, they’ve put our heads together with none other than Ella, head baker at the Arnolfini Cafe Bar and owner of Ella Bella Bakes to come up with a programme that knocks spots off the rest. Think Sour Cherry & Almond Ricciarelli or Toasted Hazelnut and Chocolate Brutti Ma Buoni, chewy Italian cookies whose name translates as “ugly but good”. For pastry enthusiasts, there’ll be a chance to hone your skills with Rhubarb Frangipane Tart made with puff pastry, or Fresh Tomato and Herb Palmiers. And for teatime, take home a luscious Lemon Concoction, or a Blueberry and Lime Traybake. There’ll be fresh coffee waiting for you on arrival, then it’s aprons on and down to work until 1pm when you’ll come up for air and a bite of lunch before you leave. You’ll take everything you bake home (unless you eat it first!) – Tupperware/cake tins recommended! The Art of Baking takes place at Square Food Foundation on Tuesday 23rd April from 10am – approx 1pm. £50 per person. Email info@squarefoodfoundation.co.uk to book and for more details.